On New Year's Day 2007 Channel 4 had what it called a Monty Python evening . This included another showing of the film Monty Python's Life of Brian and a programme about what the ‘Pythons' have done since the making of the film. The first programme, shown at 8.00pm, in which John Beyer, director of mediawatch-uk was invited to take part, was The Secret Life of Brian which purported to be a retrospective look at the 1979 film that caused a global furore . John Beyer was interviewed for this programme for more than an hour by Will Yapp on 1 March 2006 and so it was a disappointment that only a few seconds of the interview was used. In the interview John Beyer made it clear that we recognised Brian was a distinct character that was not meant to be Jesus Christ. He said that we had sought legal advice and had been told that the film did not constitute a criminal offence of blasphemous libel. The programme perpetuated the idea that Mary Whitehouse led a campaign to prosecute the film. This is simply not true and we have correspondence on file to prove this. The programme failed to distinguish between the representations made by the then Festival of Light, and others, to ban the film. One of the stars of Monty Python's Life of Brian is to look into lifting a long-standing ban on it in the town she presides in as mayor. Sue Jones-Davies, the mayor of Aberystwyth, rose to fame when she played the part of Judith, Brian's girlfriend. The film caused outrage among Christian nutters all over the world who complained its content was blasphemous. As a result some areas, including Aberystwyth, prevented the film from being shown in cinemas. The ban in Aberystwyth still stands to this day, nearly 30 years after the film's release. Sue Jones-Davies, who is now a Plaid Cymru town councillor and yoga teacher, said she is going to investigate the possibility of lifting the ban: I didn't even know the ban was in existence until Friday. It isn't something I have been worrying about. It is intriguing to think it is banned but I suppose these things come into place and, unless they are revoked, the ban remains. Maybe you can still get prosecuted for showing it. I think it has been shown in the town before but it was shown quietly. I don't think it would harm the religious faith. 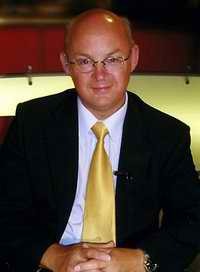 I'm going to talk to my town clerk Jim Griffiths and we will be investigating. Reverend Nutter Stuart Bell said: If it was an unpleasant film 30 years ago, then it remains an unpleasant film 30 years later. I have not seen the film, nor have I any wish to do so. And I would have thought there are many issues of more importance to the people of Aberystwyth for the mayor to consider than having a ban on this film removed. Two Monty Python stars will be at the first screening of their classic film Life of Brian in a town where it has not been seen since a ban 30 years ago. Terry Jones and Michael Palin will join Aberystwyth mayor Sue Jones-Davies - who also starred in the 1979 film - at a charity showing on 28 March. Long before becoming mayor, she played Brian's girlfriend in the movie. But she pledged to fight for the film to be shown when she found it had not been seen in the mid Wales town since. Last July, Ms Jones-Davies said she was amazed a town like hers still barred a movie now regarded as a comedy classic. It is understood some churchgoers in the seaside resort are still against the film being shown. Ms Jones-Davies said she had been assured there was nothing standing in the way of showing Life of Brian in Aberystwyth in 2009: I talked to officials at the town council to check if it was appropriate to show the film and we thought, why not, the proceeds are going to charity. I then asked Terry if he would like to come to the screening and he said, 'shall I ask Michael?'. I said yes and then Michael agreed. The two Pythons and the mayor will also hold a question and answer session with fans following a champagne reception and the film. Tickets costing £25 are on sale now, but organisers said only 120 were available. Ms Jones-Davies' chosen charity is Calon Ceredgion Nurse Appeal, which is part of British Heart Foundation Cymru. Terry Jones has chosen Truthout, a news agency dedicated to establishing a "powerful, stable voice" for independent journalism. For almost 30 years, one of the classic comedy films has been unofficially banned in Glasgow, after it was branded blasphemous by councillors on its release. Monty Python's Life of Brian will finally get a screening after it was granted a licence by the city council – the last of 39 across the UK that imposed the initial ban. The stars of the film, including Michael Palin, John Cleese and Terry Jones, will be invited to a special screening at the Glasgow Film Theatre in September. In sharp contrast to the furore of 29 years ago, the city council's licensing committee did not receive a single objection to the application heard yesterday. The move was welcomed by film experts for bringing an end to a cinematic anachronism. Allison Gardner, head of cinemas at the GFT, said: The film has been widely available to the general public on video and DVD and has been screened on terrestrial television. None of these events has caused widespread offence, or in any way destroyed the sanctity of the Church or undermined its place in our wider society. I believe the film is seen as an affectionate and inspired depiction of the life of Jesus from a perspective that is humorous, rather than blasphemous. But Christian nutters said the decision to grant the film a 15 certificate was a reflection of declining standards in society, and called it a sad day. Stephen Green, director of the radical campaign group Christian Voice, which has organised protests against shows such as Jerry Springer: The Opera , said: We know Glasgow was the last place in the country to keep the ban in place, as the only other area, Aberystwyth, had a screening a couple of months ago. It is a bit of a shame it's now been granted a licence in Glasgow, but it shows how much we have let standards slip. Life of Brian was shown on the welsh language channel S4C when it was banned in Swansea and Aberystwyth sure that the same would be the case in Scotland being it was shown on channel 4. 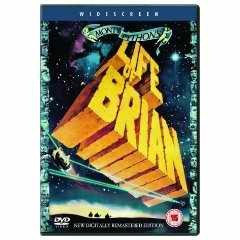 What did Life of Brian ever do for us? See article from telegraph.co.uk by Sanjeev Bhaskar. 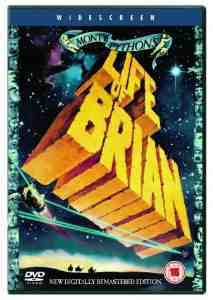 Monty Python's Life of Brian premiered in America in August 1979 and immediately caused a brouhaha. The Rabbinical Alliance declared the film foul, disgusting and blasphemous . The Lutheran Council described it as profane parody . Not to be outdone, the Catholic Film Monitoring Office made it a sin even to see the film. Audiences, however, loved it, making Brian the most successful British movie in North America that year. To counter the mounting protests in Britain, an ingenious advertising campaign was launched featuring the mothers of John Cleese and Terry Gilliam. Muriel Cleese said that if the film didn't do well, and as her son was on a percentage, she may very well be evicted from her nice retirement home – and that the move might kill her. She won an award for the ad. Mary Whitehouse failed to prove that the film was blasphemous, particularly since Christ and Brian are distinctly shown as different people. Nevertheless, a number of local councils banned it – including some that didn't even have a cinema. The result was coach parties being organised in places such as Cornwall (where it was banned) to cinemas in Exeter (where it wasn't). The Swedish marketed the film as so funny it was banned in Norway . 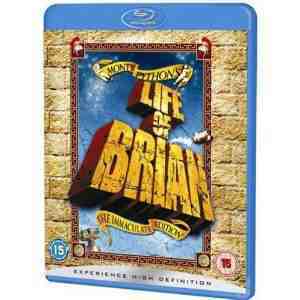 Time can be rather harsh on comedies, but Life of Brian holds up very well after 30 years, and still has the power to shock. However, current tastes and sensitivities make it highly unlikely that a comedy group would even attempt making a film like Brian today. The religious controversy that engulfed the Monty Python film on its 1979 release was no laughing matter, and is now to be the subject of a BBC drama. Holy Flying Circus , written by Tony Roche will air this autumn on BBC4 and aims to use the Life of Brian controversy to explore the subject of free speech. 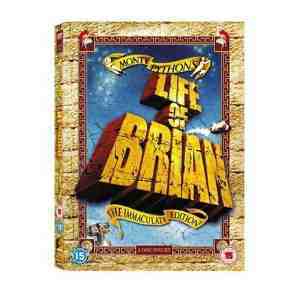 Monty Python's irreverent take on the story of Jesus Christ revolved around Brian Cohen, a reluctant fictional Messiah in first century Judea who is eventually crucified. Church leaders in the US and the UK protested, claiming it mocked Christ, and the film was banned in several countries including Ireland and Norway as well as by several UK local authorities. The film was heavily criticised by the Roman Catholic journalist and satirist Malcolm Muggeridge and the Bishop of Southwark, Mervyn Stockwood. It was later claimed that Muggeridge and Stockwood had arrived late to a screening of the film and did not know that Brian and Jesus were different characters. Terry Jones told the Guardian: How Muggeridge and the bishop had the gall to slate the film when they'd missed the first 15 minutes is quite extraordinary. It is a very good story. None of the surviving Pythons are involved with the creation of Holy Flying Circus. At the time, religion seemed to be on the back burner and it felt like kicking a dead donkey. It's come back with a vengeance and we'd think twice about making it now. Jones directed and acted in the 1979 film, which sparked accusations of blasphemy. Opponents of the now-celebrated comedy claimed it made fun of Jesus. Comment: A resurgence in religious belief? There's hardly much evidence 'of a resurgence in religious belief'. The opposite is clearly the case. However the sharp decline in belief must be making the christians feel a little insecure. Perhaps in the days of Life of Brian, the christians generally were confident enough that such a minor jibe could hardly shake their religion. Now they are a little beleaguered, and must feel that they have to be more willing to fight for the survival of their cause. Then of course there's the tension with other religions. And there its the authorities who feel that they must calm any tensions by trying to censor anything that could add to that tension. Either way, it would appear that Terry Jones is right, and Life of Brian could never be filmed today. Three years ago Martin Budich, the organizer of a group called Religious Freedom in the Ruhr , decided to put on a public viewing of the comedy classic Monty Python's Life of Brian on Good Friday in the western city of Bochum. But three years later Budich is preparing to face the highest court in the land for the simple act of showing a film which is rated suitable for children in most countries. Budich explained to The Local. Showing the film was a deliberate act of rebellion against the holiday laws which every German state has, and which prevent people from partying - or showing films that are not approved by the state - on religious holidays. On Thursday the final obstacle to taking this law to the constitutional court was removed, after the High Court in North Rhine-Westphalia upheld a ruling from a lower court that ordered Budich to pay a 100 euro fine. He can now appeal the decision in Federal Constitutional Court which will have to consider whether the prohibition of showing the movie was in breach of Budich's constitutional rights.